On Feb. 28, Trump signed an executive order instructing a review of a controversial regulation issued during the Obama administration, called the “Waters of the United States” rule. Supporters had hailed the regulation as a necessary move to protect public health, and opponents criticized the federal government for overreach by adopting the rule. 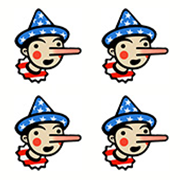 During his remarks signing the executive order, Trump made a handful of suspicious claims, including that the rule has cost “hundreds of thousands” of jobs. We looked into that claim and others he made about the rule. “The push to unravel the rule marks yet another shift in a decades-long debate over to what extent the federal government can dictate activities affecting the wetlands, rivers and streams that feed into major water bodies. The controversy has spurred two separate Supreme Court decisions, as well as a more recent federal appellate court ruling, as the two previous administrations sought to resolve the matter through executive actions. Given the uncertainty between the two Supreme Court decisions, the Obama administration’s Environmental Protection Agency and the U.S. Army Corps of Engineers issued the 2015 rule to clarify the scope of federal jurisdiction. But opponents said the rule vastly expanded federal jurisdictions over the waters, and believed it to be an overreach. Legal challenges ensued in several states. The U.S. Court of Appeals for the 6th Circuit issued a nationwide stay, halting the rule from going into effect. It has been in limbo since. The U.S. Chamber of Commerce and the American Farm Bureau Foundation, two of the biggest critics of the rule, did not conduct a review of jobs lost since the court issued a stay. We checked with several other industry groups that had opposed the rule or asked the EPA to withdraw the rule, but received no estimate for jobs lost. However, opponents argue that because the term “puddle” has not been defined, the EPA can still regulate what some people may consider puddles. Trump made several problematic statements in his remarks. He claimed that the Waters of the United States rule affected puddles and ditches; it affected some ditches, and technically has an exemption for puddles. But opponents of the rule say that since a “puddle” is not defined in the rule, the EPA can still regulate what some people may consider puddles. Trump also exaggerated details of a case involving a Wyoming rancher. The focus of our fact-check is whether the rule cost “hundreds of thousands of jobs,” and there is no evidence to support that. After the rule was issued in 2015, the U.S. Court of Appeals for the 6th Circuit issued a nationwide stay blocking it from taking effect. We checked with key industry groups that opposed the rule, but did not find research into the impact of the rule on jobs after it was halted in 2015. The rule has been in limbo since, so it is not credible that any jobs have been lost. "But a few years ago, the EPA decided that navigable waters can mean nearly every puddle or every ditch on a farmer’s land or anyplace else that they decide. … The EPA’s regulators were putting people out of jobs by the hundreds of thousands."